Item # 155043 Stash Points: 3,999 (?) This is the number of points you get in The Zumiez Stash for purchasing this item. Stash points are redeemable for exclusive rewards only available to Zumiez Stash members. To redeem your points check out the rewards catalog on thestash.zumiez.com. 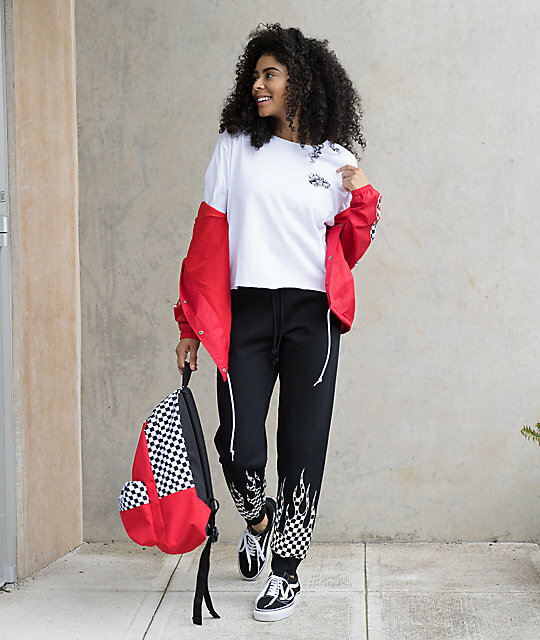 You can never have too many comfy pants so be sure to grab the Checkerboard Flame Black Sweatpants from Vans, which are also stylish. 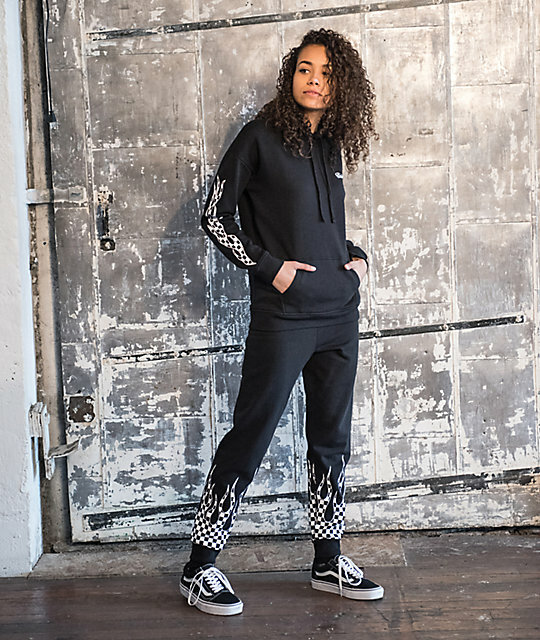 Offering a midweight fleece construction for coziness as well as tapered ankle cuffs, an adjustable drawstring waist and a Vans retro skateboard patch on the right hip for added style. 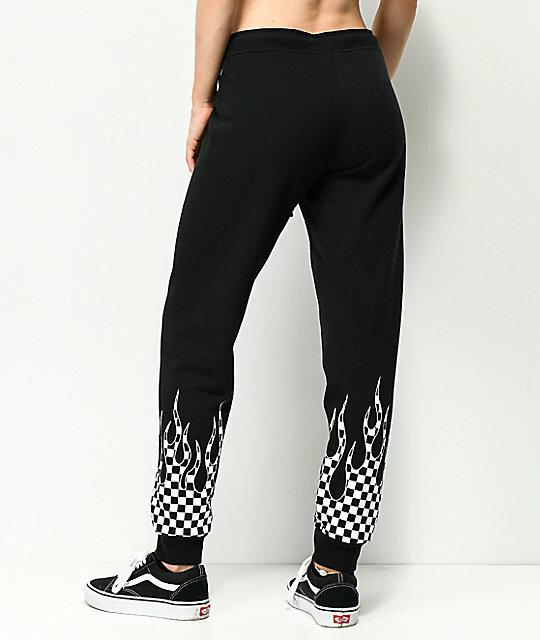 Checkerboard Flame Black Jogger Sweatpants from Vans. Vans retro skateboard patch on left hip. 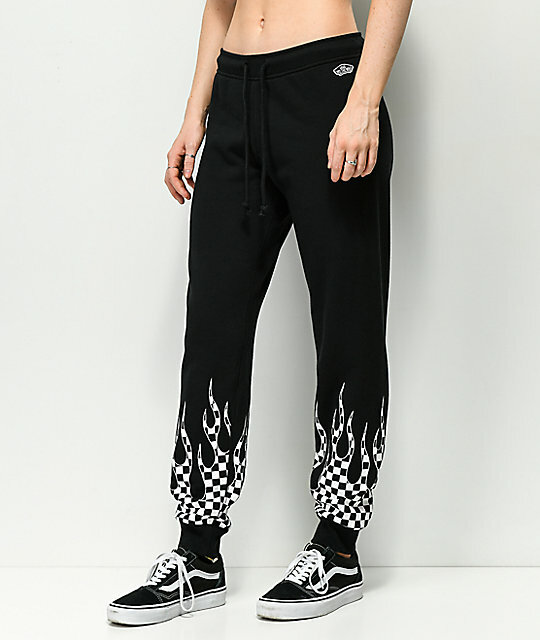 Checker-filled flames screen printed on lower leg. Elastic ankle cuffs & drawstring waistband. Relaxed fit w/ tapered ankles.